This tour takes us through a landscape of extensive lava fields, craters and ash from ancient eruptions in Hítardalur valley. Enjoy wide-open stretches of light-coloured sand at Löngufjörur beach, where only the tide sets a limit to the freedom of horse and man. The impressive 50-meter deep crater Eldborg is a distinctive landmark, where the light sand turns black once you reach its lava field. On our last riding day we follow the edge of the lava flow along the shore before returning to Stóri-Kálfalækur Farm. The tack used for Icelandic horses is slightly different than the tack ordinarily used for other breeds. The saddle is built close to a dressage saddle and has a relatively flat seat. Saddles come with plain or quilted seats. On longer rides a crupper helps keep the saddle in place. Riding style used on Icelandic horses is close to English riding style, but stirrups are worn long. Bits used are mostly simple snaffles and the Bridles have a detachable noseband with clip on reins. The Icelandic Horse breed is best known for its four-beat smooth gait, the “tölt”, which is very comfortable for the rider, especially on a longer tour. Riding an Icelandic horse in its native habitat is an authentic riding experience. Herding along free running horses is the traditional way of travelling in Iceland, since horses are changed at least once a day on longer tours. You will get to ride a variety of horses. Helmets are strongly recommended and a packing list will be provided when you book the ride. Saddlebags, wet weather gear, and water are provided. Experiencing the“tölt”, the unique extra gait of the Icelandic Horse, is made easy for you on this tour when we follow good riding tracks. The long stretches of smooth sandy beaches make this tour a delight for both horses and riders. Pick up in Reykjavik between 18:00-19:00 PM where our Íshesta bus will transfer you and your fellow riders to Stóri-Kálfalækur Farm, where horses and staff are waiting for us. After a lovely introductory meal where we get to know each other we relax and rest so we are well prepared for the adventure ahead of us. We recommend an extra night in Reykjavik at the end and we can arrange this for you. You will stay at various family run guest houses during this trip. Price is based around sharing a twin or quad room with twin or bunk beds. Single rooms are on request with a supplement. Bathrooms are shared. Hot tubs are available at most of the guest houses so this gives the riders something to look forward to after a long days riding. Cost: €2190.00 euros Low season and €2350.00 euros High season. Pick up Reykjavik and ride in Snæfellsjökull National Park area. During the ride you will enjoy sightseeing in the local area and there is normally a hot tub to relax in most nights depending on the location. Please note that the itinerary may change depending on the weather at the time and other local conditions. 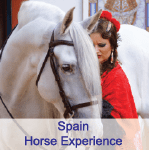 Terms and conditions and terms apply to this riding holiday.